My Gentle Readers, while I write a bit of poetry this is my first review of a poetry book. Given it is a short work, there isn’t a lot to say. Jaffa reaches deep down inside himself to bring to life personal truths that perhaps we can all relate to at some point in our lives. I did enjoy the poem “I am dead! !” specifically when he talks about the obsession of Facebook life. So many people craft this online persona that is so far from reality it is saddening. Blitz is the perfect note to end the collection on in my opinion. Some of the poems may mean something to the poet, but I could find no meaning in the collection of seemingly random words. That’s not to degrade his work, simply that several of them did not speak to me on any level, even a sympathetic or empathetic one. As other reviewers have pointed out, the collection of images, clearly pulled from Internet databases and not personally from the life of the poet, detracted from the overall work. Images for images sake are better left unused. I would have liked to see him use images from his own life, even if they were poorly drawn sketches (as I have no idea if the author has artistic skills in that area) than pull from the Internet. Overall I think the work has some merits but perhaps fell flat for me in the execution. Keep writing Jaffa. You definitely have more to say to the world. 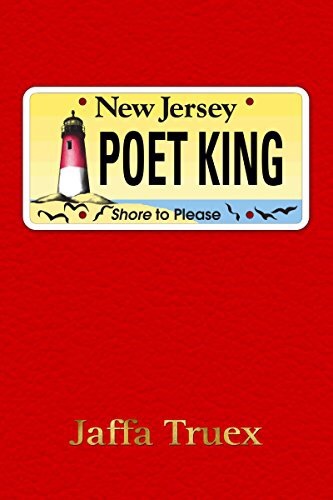 This entry was posted in Book Reviews and tagged Book Reviews, bookreview, ebook, jaffa truex, Poem, poet, poet king, Poetry. Bookmark the permalink.